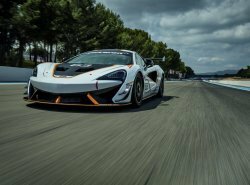 The recently-announced McLaren 570S Sprint will make both static and dynamic global debuts at this year’s Goodwood Festival of Speed as part of the largest presence by McLaren to date. 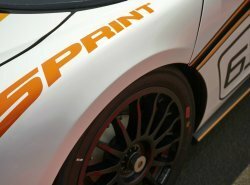 The track-only model will thrill crowds on the famous Hill run and be on public display in the Supercar Paddock alongside the McLaren P1TM GTR, 650S Can-Am, 570S Coupé and the 675LT Coupé which only recently set the fastest ever time around the BBC Top Gear track. 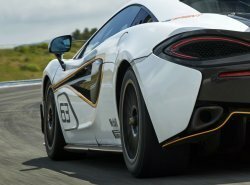 A second example of the 570S Sprint will be on private view for McLaren guests at its central location, adjacent to Goodwood House. 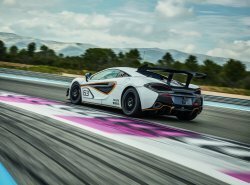 Below the skin, the 570S Sprint is built around the carbon fibre MonoCell II chassis shared with all Sports Series models, and also features the familiar mid-mounted 3.8- litre twin turbo V8 engine and seven speed SSG transmission. 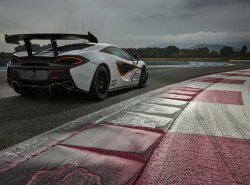 The 570S Sprint features enhanced cooling via a front centre GT3-inspired high temp radiator, along with a more aggressive front splitter and floor assembly as premiered on the 570S GT4. 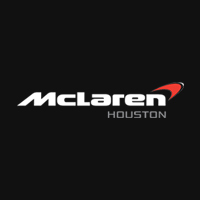 As standard, the 570S Sprint is filled with New LifeTM 0W-40 engine oil, developed by McLaren Automotive technology partner Mobil 1.